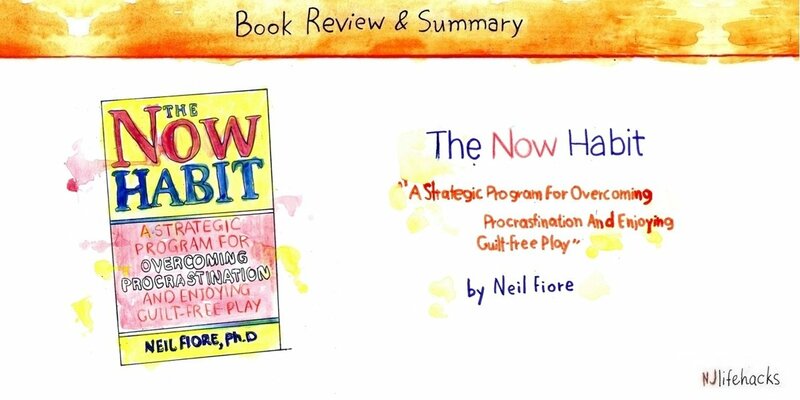 The Now Habit by Neil Fiore is an old-school procrastination book. It’s not as scientific as some of its new competitors, but it makes up for it with counter-intuitive strategies such as The Unschedule, guilt-free play, three-dimensional thinking, the work of worrying, and more. If you’re struggling with procrastination, this is definitely worth a read. Who Is The Now Habit For? „Your first step toward breaking the procrastination habit and becoming a producer involves redefining procrastination and coming to a new understanding of how and why we use it. Procrastination is not the cause of our problems with accomplishing tasks; it is an attempt to resolve a variety of underlying issues, including low self-esteem, perfectionism, fear of failure or success, indecisiveness, an imbalance between work and play, ineffective goal-setting, and negative concepts about work and yourself. Alright, according to Neil Fiore, procrastination is a mechanism for coping with the anxiety associated with starting or completing any task or decision. For whatever reason, certain tasks make us feel anxious. As a strategy for coping with this anxiety, many of us have developed a habit of procrastinating: put off the task and you’ll experience a relief of tension and anxiety. Procrastination isn’t the cause of our problems. It’s simply a learned coping mechanism for dealing with deeper issues, mainly different fears, such as fear of judgment, fear of disapproval, fear of failure, and so on. Since procrastinating is deeply rewarding (it relieves stress), it’s become a habit. Some people get in the habit of shopping, stuffing themselves with food, drinking alcohol, smoking cigarettes, or taking drugs as their prime ways to relieve stress. Similarly, some get in the habit of procrastinating as a way to cope with negative emotions associated with a task or decision. 2. Where Does Procrastination Come From? Let’s make a practical example. You want to study for an upcoming exam, but every time you intend to get started, you feel something that’s probably best described as resistance. This resistance can be any combination of boredom, frustration, fear, resentment, or any other negative emotion. Resistance makes you feel bad. Since nobody enjoys feeling bad, you use procrastination as a way to relieve the negative emotions. Now, not faced with the dreaded task and its associated pain, you feel better. The question is, where does that resistance come from? Why can some people study for exams, write essays, or clean the house without feeling resistance while others can’t? The reason is our (childhood) programming and conditioning. Maybe your parents always demanded perfection and good grades from you. And if you didn’t deliver, you got harshly criticized. As a result, many tasks in your life today bring up the fear of disappointing your parents. So you decide to begin an important work project, but you feel that fear bubbling up from your unconscious mind. Then, to relieve the fear, you procrastinate. Now, to overcome procrastination, you can either try a psychoanalytical approach, go to your past, and heal those fears. This is partly what The Now Habit aims to do. Or you can just accept your fears and learn to live and work effectively in spite of them. That’s what I mainly focus on in my book. Ultimately, I think beating procrastination must involve both approaches. We need to find ways to lessen our resistance (fears, insecurities, and so on). And we need to find ways to act in spite of experiencing negative emotional states. The easiest way to procrastinate less and boost productivity is to keep a log of how you spend your time. For a few days, simply record exactly how you’re spending every minute of your day. Going to the toilet? Write it down. Checking email? Write it down. Commuting? Write it down. Watching TV? Write it down. You can either use your phone through a time-tracking app like Toggl. Or you can use good ol’ piece and paper. Tracking time is hands down one of the best productivity tricks I’ve ever found. To understand its effectiveness, you have to know that anything that gets measured gets improved. You immediately play differently when you keep score. For example, simply asking people to wear a pedometer makes them walk one extra mile per day on average and improves their overall activity levels by 27%. 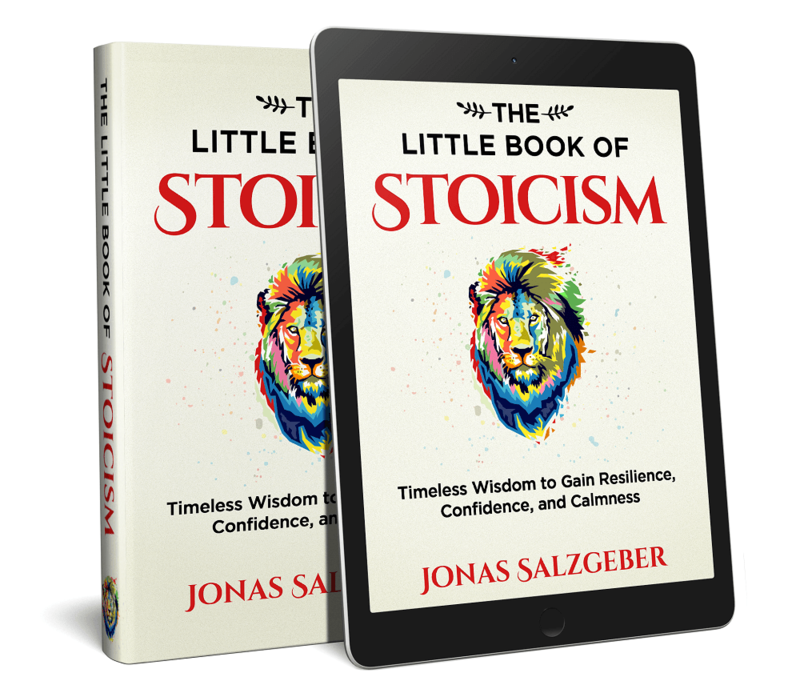 “To better understand how you learned to procrastinate, I invite you to use your imagination and to accept for a few minutes a metaphor in which the test, job, or task in your life is to walk a board. Situation A. The task before you is to walk a solid board that is thirty feet long, four inches thick, and one foot wide. You have all the physical, mental, and emotional abilities necessary to perform this task. You can carefully place one foot in front of the other, or you can dance, skip, or leap across the board. You can do it. No problem. Take a minute to close your eyes, relax, and imagine yourself in that situation. Notice how you feel about this task. Are you scared or blocked in any way? Do you feel any need to procrastinate? Fear of failing or making a mistake cannot be an issue here, but you might find that you delay starting out of a need to assert your independence and to resist being asked to do even a simple task such as walking a board. Situation B. Now imagine that the task is just the same, to walk a board thirty feet long and one foot wide, and you have the same abilities; only now the board is suspended between two buildings 100 feet above the pavement. Look across to the other end of the board and contemplate beginning your assignment. This example beautifully captures the importance of fear and safety in procrastination. When you’re feeling safe, there’s really no need to procrastinate. You can just tackle the task without any resistance and get it done no problemo. The bigger the fear, however, the more likely you are to get stuck looking at that hypothetical board. Instead of just walking across, you choose to relieve the fear by procrastinating. Then, all of a sudden, the board starts catching fire (impeding deadline) and you do whatever you can to get across. If we want to overcome procrastination, we need to bring the board back to the ground. In other words, we need to reduce the fears and create a sense of safety for ourselves. So that no matter what happens, we’ll be okay. One of the major aims of The Now Habit is to create more safety in our lives. Ask yourself, “What’s the worst that could happen?” This brings in a sense of perspective and helps you realize that you’ll be fine even if whatever you’re working on ends in complete catastrophe. Try the work of worrying. Contemplate the worst-case scenario and realize you’d be fine if it happened. See next point. “Worrying can warn you of danger and evoke action to prepare for that danger. Respect your ability to worry as a means to alert you to potential danger. According to Fiore, worrying is a good thing because it warns us of potential threats. It only becomes problematic because we fail to do the real work of worrying. Basically, we need to use worrisome thoughts as action triggers. When you catch yourself worrying, finish it by cancelling the threat and creating a plan. Don’t just scare yourself with images of potential dangers, actually take time to prepare yourself for that danger. Once you know you’re ready for the worst-case scenario, you’ll calm down and be able to get to work. What would I do if the worst really happened? How would I lessen the pain and get on with as much happiness as possible if the worst did occur? What alternatives would I have? What can I do now to lessen the probability of this dreaded event occurring? Is there anything I can do now to increase my chances of achieving my goal? You essentially establish a sense of safety by knowing that even in the worst imaginable situation you’ll be okay and have alternatives. This reduces your fear of failure and allows you to get started. Fiore is big on the fact that how you talk to yourself represents the beliefs and attitudes that determine how you act and how you feel. The self-talk of procrastinators (e.g., “I have to” or “I should”) suggests and reinforces feelings of burden, victimhood, and resistance to authority. Feelings and images created by this self-talk unconsciously lead to procrastination as an act of rebellion and assertiveness. Learning to challenge and replace negative internal dialogue helps you free yourself from attitudes that may currently be holding you back. If we want to produce at an elite level, we need to play at an elite level. The problem of most procrastinators is that they never really take time for guilt-free play. They feel guilty for procrastinating and then don’t allow themselves time for leisure. This leads to a precarious situation in which very little real work gets done while simultaneously very little play gets done either. The result is a life deprived simultaneously of a sense of accomplishment and deprived of fun, leisure, and pleasure. Fiore’s approach to fixing this dilemma is to commit to guilt-free play and make it a higher priority than work. That’s right. You must play first. Only then are you allowed to get to work. For example, in his famous time-planning method called The Unschedule, he wants us to schedule play and recreation activities before scheduling work. The Unschedule is an ingenious time-planning method developed to tackle many procrastination-related problems. I have written a complete article on it, so I’ll keep things short here. In Unscheduling, instead of scheduling the very thing you’re procrastinating on (work), you first schedule fixed commitments (e.g., meals, commute, sleep), self-care activities (e.g., meditation, exercise), and guilt-free play (e.g., socializing, hobbies). In fact, you never even schedule work. It only goes on your schedule once you’ve spent at least 30 minutes of focused, quality time working. And it only happens in-between fixed commitments, self-care activities, and play. This creates a week full of leisure and play interspersed with some work instead of the usual prospect of endless work and no play. Your calendar quickly changes from a list of overwhelming expectations to a record of your accomplishments and a place for fun stuff. Many of The Unschedule’s guidelines are scientifically validated and I personally find it very effective in my own life. I definitely suggest checking out the full article if you’re into it. Feelings of overwhelm are a big cause of procrastination for many of us. It’s why we struggle with large projects – they are too overwhelming. According to Fiore, the problem is that we see a big project as one giant task that needs to get done right now. For example, writing a book involves doing research, creating a manuscript, finding a publisher, writing the actual book, promoting it, and so on. If we look at it two-dimensionally, we think we need to do it all at once and get overwhelmed. The solution is to think in three dimensions. We need to create a list of all the tasks involved in our project and then create a timeline for it, essentially working backward from completion to today. The result is a 3D-view of our project with a clear picture of what we can work on today. Newsflash: Overcoming procrastination isn’t exactly a walk in the path. As I’ve described in a recent article, it took me years of persistent effort and struggle to reach the level of productivity I’m at today. I’ve faced countless setbacks and had to motivate myself anew over and over again. If you’re serious about getting a proper handle on this dreadful habit, you need to expect setbacks. Without a doubt, you will procrastinate again and again in the coming years of your life. In those moments, it’s important that you forgive yourself and resolve to keep going. Find that motivational spark and get at it again. If you’re patient and persistent, you can make huge advances in your productivity. But it won’t happen overnight. So be prepared for obstacles and face them with self-compassion. The Procrastination Equation by Dr. Piers Steel. This is another well-known and science-based book on procrastination. Eat That Frog by Brian Tracy. A super short and concise guide to beating procrastination and getting things done. If you need a kick in the pants, this is it! I am the opposite of a procrastinator , never the less, enjoyed this summery of the book and forwarded it to the people that are. As an educator I find that most students that have this challenge of starting a task and completing it are struggling with ADD. More power to you for addressing your own issue and making a wonderful progress . Thanks, Dina! I think I’ve read that somewhere – statistics showing that people with ADD have more problems with procrastination. Would make sense to me because they’re more impulsive, and impulsivity is a big driver of all this. Your first sentence states: “The Now Habit by Neil Fiore is an old-school procrastination book.” How so? Previous to publication of TNH, many books on procrastination completely ignored the underlying emotional components driving procrastination and focused mainly on scolding the procrastinator for being lazy or trying to teach systems to get them to work more efficiently (I read a lot of those books before I found TNH). TNH took an entirely differently approach and broke new ground by thoroughly addressing the underlying emotional components. Well, “old-school” is a subjective statement. To me, it’s an old-school book because it was first published in 1989. That doesn’t say anything about the value of the book. Having read the book, I can say this is a great and accurate summary. Thanks!